For the past 20 years, the N.E.W. (Neighborhoods Energized to Win) Fund of Coastal Community Foundation has awarded small grants ($2,500) to low-income neighborhood groups in 4 counties (Berkeley, Charleston, Colleton, and Dorchester). 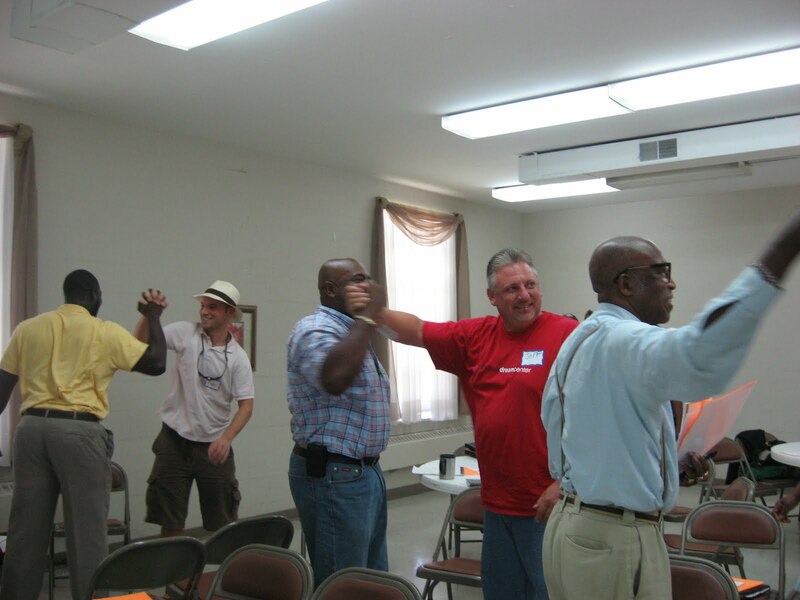 As part of the funding cycle the Foundation conducts a 4-part Summer Leadership Institute for leaders of the neighborhood groups to learn about various capacity building topics such as grassroots fundraising, new member recruitment, managing volunteers, organizational development, etc. On Saturday June 26, twenty-six neighborhood leaders, representing the 2010 N.E.W Fund grantees, gathered at Sterett Hall for the first Leadership Institute session. The session featured John Zinsser of Pacifica Human Communications, who volunteered his time to give participants “the answers” for “Communicating for Collaborating.” Zinsser is the Co-founder and Managing Principal of Pacifica Human Communications, which has helped Fortune 100 companies, U.S. government agencies, private institutions, and individuals overcome the functional and institutional challenges created by under-considered and under-managed conflict. Participants were asked to think of a difficult situation that they had with an individual while doing their organization’s work. Through a variety of team-building activities Zinsser led participants through a process to help them communicate better to achieve the ultimate goal of collaboration. At the end of the day, Zinsser asked each participant to recall that difficult situation again and now write down what they would do differently. The room became so quiet that you could hear a pin drop…they did indeed have the answers. Three more leadership sessions remain for N.E.W Fund grantees.